The best way to get to know a community is by scheduling a tour. See the facilities, meet the staff and residents, and get a feel first hand what it's like to live at Lone Oak Assisted Living Community Assisted Living. 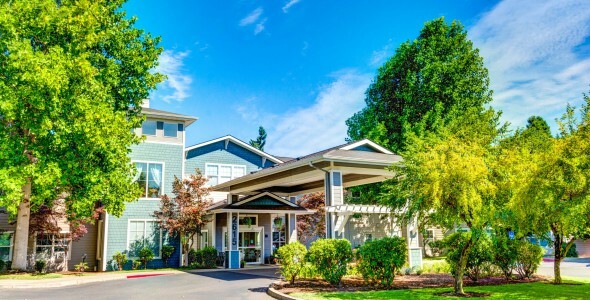 Located in the vibrant college town of Eugene, home to the University of Oregon, Lone Oak Assisted Living is a traditional senior living community offering Oregon seniors cozy accommodations, friendly service and compassionate care. We are committed to helping our seniors live the best lives possible. Lone Oak Assisted Living is a part of Frontier Management. At Frontier, our mission is to enrich the lives of our seniors through our environments, programs, communications and commitment. At Lone Oak Assisted Living, residents have their choice of 70 stylish apartments in a selection of studio and one-bedroom floor plans. All units come with private bathrooms, kitchenettes and emergency call systems for added safety and security. There is never a shortage of things to do at our community with a full schedule of activities such as movie screenings, fitness classes and trips to local destinations. Our seniors also enjoy access to common areas including a 50s-style bistro, arts and crafts studio, and library with fireplace. Our well-trained, professional staff are available on site, 24 hours a day to assist residents with personal activities such as bathing, grooming and taking medications. Weekly housekeeping, linen service and private transportation to and from appointments, errands and shopping are also offered. In addition, residents enjoy three hot and healthy meals each day in our formal dining room. Dishes are prepared fresh with local, seasonal ingredients by our very own chef. Our private dining room may also be reserved to celebrate special occasions with family and friends. Enjoy senior living at its finest at Lone Oak Assisted Living community in Eugene!